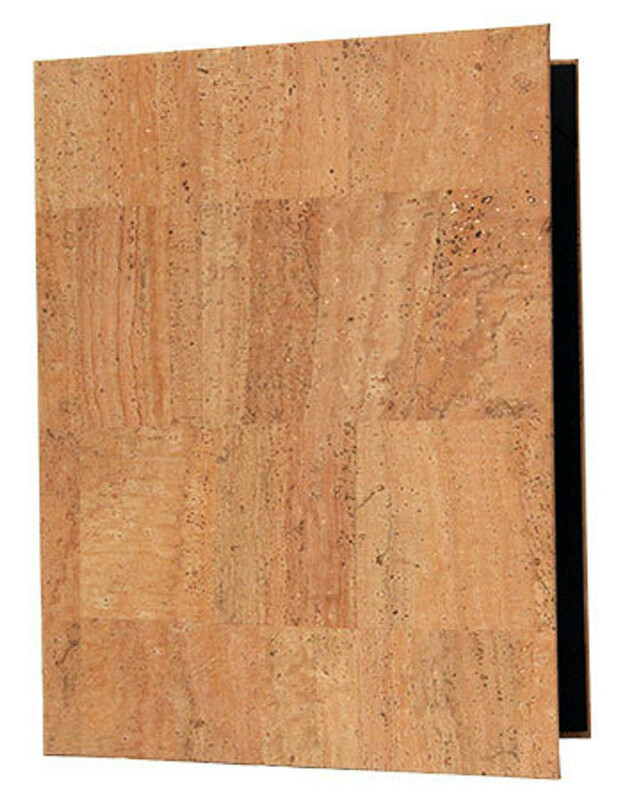 Cork Menu Covers are constructed from authentic cork material. These casebound menu covers have choice of interior color and choice of diploma corners or top and bottom horizontal strips to hold menu inserts. May be foil stamped or blind debossed. MInimum order 15 menu covers. Custom sizes are available. Please call for details.